O’Neill’s interview with the newspaper came after SOFREP, a website dedicated to covering national security and the US special operations forces community, revealed his identity in a post on Monday. SOFREP also reported leaders of the US Naval Special Warfare Command sent a letter to team members on Oct. 31, two days after the Fox News revealed plans for the documentary, urging them not to discuss their work publicly. After the documentary was announced, Navy Commander Amy Derrick-Frost, a Defence Department spokeswoman, gave a statement to Business Insider in which she said former SEALs were bound by military non-disclosure agreements and could face criminal charges for revealing information about the raid. Following the publication of O’Neill’s interview with the Washington Post on Thursday, Business Insider reached out to Commander Derrick-Frost again. She noted “specifics” of the Bin Laden raid, including the names of the participants, “remain classified” and reiterated former SEALs were obligated not to reveal secrets. Though she declined to comment on whether the Pentagon would launch a leak investigation against O’Neill or pursue criminal charges as a result of the Washington Post article, Commander Derrick-Frost stressed any inappropriate release of classified material could put the country at risk. 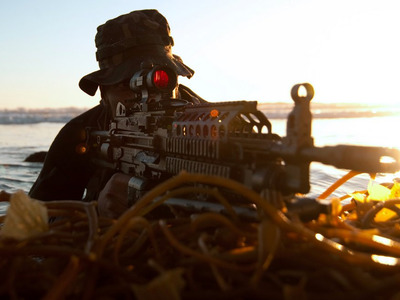 O’Neill isn’t the first former SEAL to talk about participating in the Bin Laden raid. In 2012, Matt Bissonette released a book about his participation in the mission. Earlier this summer, the Department of Justice launched a criminal investigation into whether Bissonette leaked classified material.